Mr. Imasuke Negishi, founder of Negishi Bussan Co., Ltd. has grown wheat, talked to wheat, and learned from wheat in the province of Gunma (called Joshu in the old times) where the strong and blustery winds come down from Mount Akagi. He handed down his knowledge and love for wheat noodles to the coming generations in Fujioka, Gunma. "Grow the Wheat, Mill the Wheat, Knead the Wheat (powder), and Cut the Wheat (noodles)"
The old traditional Negishi method of production, following tenaciously the art and technology of the old style "Milling, Kneading, Ageing, Striking, Spreading, and Cutting" , successfully extracts the best taste and texture of wheat and hence the wheat noodles. 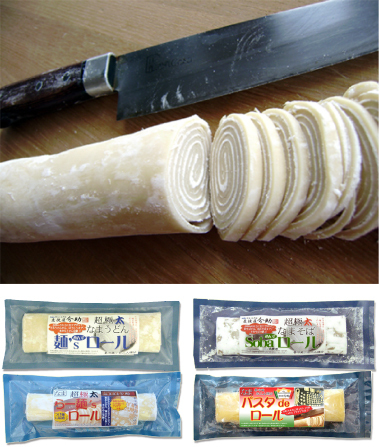 The ingredients and secret production methods for the old traditional wheat noodles, "Fresh Raw series" have not changed since 1970. For years, white wheat noodles have been accepted as the standard for "wheat noodles". But the reason why our noodles are highly appreciated among connoisseurs of noodles is the fact that we use the entire wheat grain and not only the white interior. This makes our wheat noodles darker, and more flavorful. As in buckwheat noodles, you can also enjoy the hot water used to boil the noodles as soup, which contains much of the nutrients and vitamins. Introducing the traditional Negishi style real nama udon. We diligently follow the same methods of our founders in selecting ingredients and manufacturing, in order to extract the true essence of wheat. 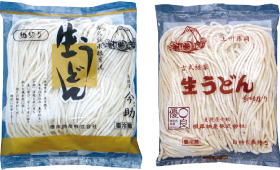 We blend the most similar ingredients to the outer and inner parts of the wheat, along with Gunma’ s pure water, gently and slowly kneading, and allowing the noodles to rest, to create the “old world” Negishi Udon noodles. Growing up with wheat, understanding and learning from wheat is what “Imasuke” left with us. Udon noodles that can bring out the essence and flavor of what wheat should be, is the work of 84 years and the heart and soul of Negishi. 1. The flavor of each ingredient is fresh and vibrant. 2. The springy texture that remains even after boiling. These are raw noodles, so the ingredients used are only the best. 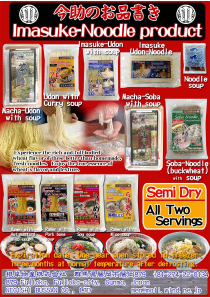 (The ingredients used in frozen noodles are to a certain extent fixed). 3. The deliciousness of freshly cooked noodles. 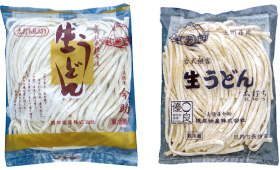 Product name "Koshiki Keika Nama Udon"
Udon noodles made from flour using the middle and outer edge of the wheat plant offer a full-flavored fragrance and satisfyingly springy texture. Please enjoy these one-of-a-kind, better than handmade raw udon noodles. 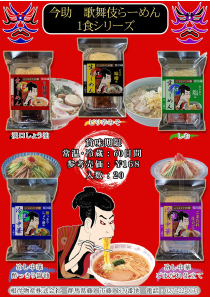 Product name "Koshiki Keika Nama Soba"
Savor Hon-nama soba’ s full-flavored fragrance, as well as the combination of buckwheat flavor with its springy texture. It puts handmade soba to shame! Men's roll is a novelty of a new sense that you can experience a hand-crafted udon shop with your child. You can cut to any preferred width, cut out using cookie cutter shapes to have fun with the entire family and getting involved in the creation process! We have many types of mens rolls.There are soba, udon, ramen, pasta, variations, so you can enjoy various dishes. Men's roll is fun to have different sizes and shapes. Please use it for the food education of the child. There are many teas in Japan, for example, coarse tea,barley tea, roasted green tea and, so on. Matcha is a very famous and traditional type of tea in Japan, and one that is quintessentially Japanese. Matcha was introduced over 800 years ago and has been used in traditional Japanese tea ceremony up until the present date. Matcha and noodles are both representative foods of Japan. Matcha noodles is very good for health because both of these two healthy foods are put together in one dish. It is, therefore, a splendid food of Japan. Japanese "curry udon" is loved as a very popular food. The soup base combines Japanese soup with spices of curry. 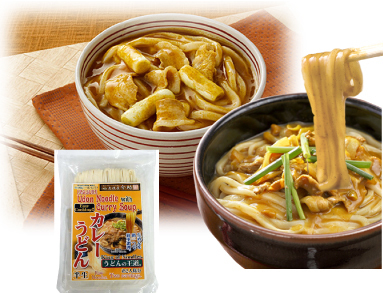 It is curry udon which is not an exaggeration to say king of udon. Imasuke Curry udon is for 2 persons. Powder soup is set for easy cooking. 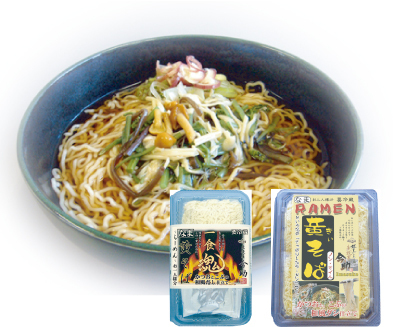 These noodles capture the spirit of “Imasuke,” which brings out the power and flavor of their base ingredients. Be sure to try them!One company, one technical certification.Industrial-grade Chinese noodles made for restaurants and other professionals. We manufacture our product to match your needs (amount, ingredients, etc.). You can cook easily with a microwave oven. 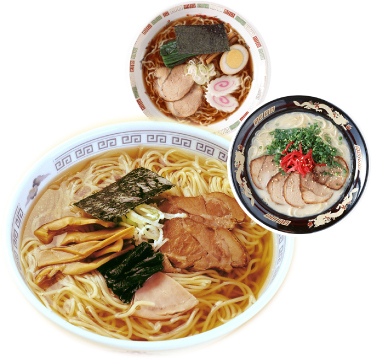 It is a ramen that you can eat delicious quickly. 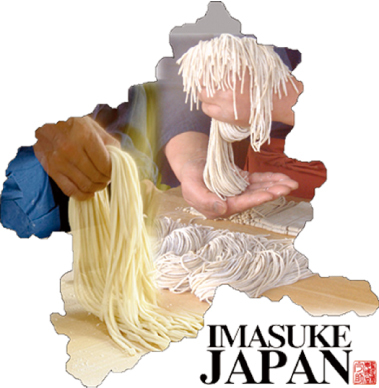 These noodles capture the spirit of “Imasuke,” which brings out the power and flavor of their base ingredients. Be sure to try them! Japanese “Chuka Soba” ramen noodles. The included soup base has been carefully made with hand selected bonito and Kombu dashi to give it a distinctive Japanese taste. 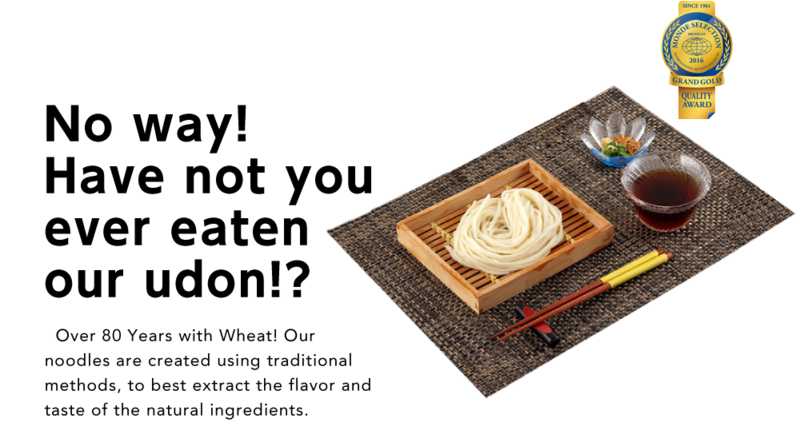 “Kii Soba” is another name for Chinese style noodles interpreted into Japanese cuisine. By topping with sansai vegetables, tenkasu and scallions, you can make a truly Japanese flavor ramen dish. 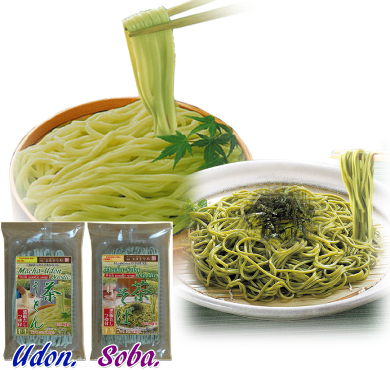 Nutritional information of Soba: In addition to high-quality protein and vitamin B and B-complex, dietary fiber is 2.5 times that of rice, vitamin E, and rutin. 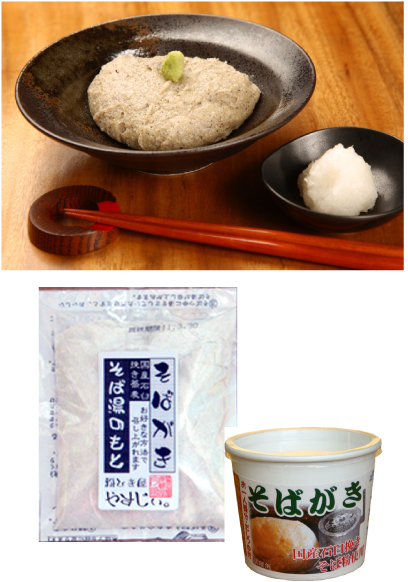 These nutrients are also richly abundant in the water used to boil the soba noodles and dumplings. It has long been know that a person that does not order the hot soba water after eating soba noodles, is uneducated. Any established soba restaurant will serve the hot soba water. Pour the soba water into the remaining broth, add any additional toppings/garnishes and enjoy as afinishing soup. A staple transpired by the wisdom of the elders which is now a common part of Japanese food culture, please enjoy! 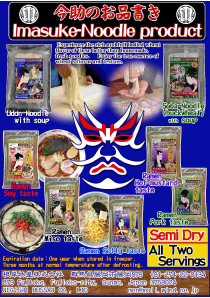 We also have various other lineup noodles. For details, please click on each product image below to see. 2017 (c) NEGISHI BUSSAN Co.,Ltd. All Rights Reserved.